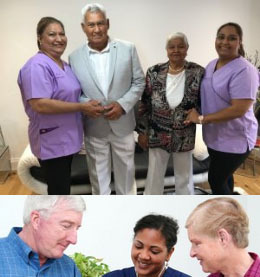 Verrolyne Services enables you to have a choice over moving into a Care Home or staying at home. With our reasonably priced live in care packages on a weekly or monthly plan, the choice is yours. You benefit from a one to one carer that will assist with your, domestic chores, personal care, medication and your day to day tasks. It allows you to stay in your home and maintain your daily routine. You won’t have to face the emotional and physical disruption of your daily living by moving into a residential care home. Our live in carers can provide you with companionship – someone to talk to or to play cards with. Who is Live in care for? You may be frail or require more care input throughout the day, or have the tendency to wander arund when left on your own, Live in care is your better option to moving into a care home as you wish to remain in your own home, in the same environment you have been for years, moving out seems too hard to handle on top of everything else. Live in care is for you! After all there is no place like home. What to expect from your Verrolyne Services Personal Assistant. 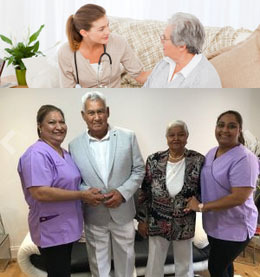 Live-in care comes into its own when, typically, someone needs a personal assistant around the house at various times of day to assist or carry out varying tasks. These may involve all aspects of care (assistance with getting up, washing, personal hygiene etc.) and generally ‘keeping house’ (cooking, cleaning, laundry, and ironing). The need may include shopping or accompanying their customer on visits to friends, to town or just out for a breath of fresh air. One of the beauties of live-in care is its flexibility. No two days need be the same and our customers can, if they wish, choose a different agenda each day. Obviously, not everyone may WANT to do this but the flexibility is there nonetheless. The daily tasks of everyday living can be fulfilled by the personal assistant but he/she can also help with pastimes and activities if required. This does not mean, however, that the personal assistant will be some ‘holiday camp entertainer’ who will take over the house and everyone within it. Verrolyne Services personal assistants are trained to be active when required but to be as discreet and retiring when their presence is not needed. In that way, our customers can relax and enjoy the comforts of their own home (which is, after all the object of the exercise). Verrolyne Services is a small organisation and one which prides itself on a friendly family feel. The directors are involved in the day-to-day running of the business and insist that all those receiving care are treated as ‘customers’ with all the promise of a right to quality service that this suggests. The Verrolyne Services business model is based around the concept of “tailor made to suit your needs” by which we mean that we are dedicated to ensuring the very best service for our customers and the reassurance that we will always do our utmost to ensure we deliver the service you expect and deserve. The first step is to telephone the Verrolyne Services office on 01708 320476 to arrange for an initial visit. This is nothing more than an opportunity to ask all your questions face-to-face. Only when you are entirely happy with the service and comfortable with instructing us, will we move to the next stage. One of our supervisors will visit to carry out the necessary safety assessments and to note all the details we need to go through before we start the care. This will, of course, include start dates and any other instructions you may have for us. We will then go and arrange for the personal assistant to arrive on the requested day. On the first day the personal assistant and the supervisor arrive at an agreed time. The job of the supervisor at this point is to introduce the personal assistant to you, and to the way you want the job done. After a short settling-in period the supervisor will leave you and your personal assistant to get to know one another. But it doesn’t stop there and the supervisor will keep in contact on a regular basis to make sure that everything continues to run smoothly. How many personal assistants will be assigned to me? Unless different arrangements are agreed our personal assistants work on a two week-on, two week-off basis. This means that you will have two personal assistants assigned to you. We are also able to provide you with long term placement if you would prefer the same personal assistant on a long term basis. What tasks will my Personal Assistant carry out? The short answer is ‘almost anything you want them to’. However in order to prevent surprises and to avoid misunderstandings we will go through your daily and weekly routines before we set up the care and the task list will be based on that. Personal assistants are trained in all aspects of care as well as being experienced in ‘keeping house’. And what will my Personal Assistant NOT do? If you are on medication we are allowed to prompt, assist and administer your medication but we cannot give injections or be part of a nursing regime. Your personal assistant is there to help and care for you. We do not therefore normally cook or cater for guests. If there is anything outside your normal routine which you would like carried out, please give the Verrolyne Services office a ring and we can probably get it sorted out for you. How does Verrolyne Services recruit its Personal Assistants? What does the Personal Assistant need in the way of private space? The personal assistant will need his/her own room with a bed, wardrobe and a television. This will allow him/her somewhere to go during their time off (if they choose not to go out) and lets them get a good night’s rest so that they are fit and able to do their job during the day. The Personal Assistant must make arrangements for any personal mail to be sent to Verrolyne services’s office address. Under no circumstances should the customer’s address be divulged by the Personal Assistant to anyone, including family and friends. Appropriate arrangements should be made by the personal Assistant for the collection of this mail. What about food and drink for the Personal Assistant? There is an expectation that your personal assistant should be available from 7.30am to 10pm but this does not necessarily mean that they should be working during all of that time. We normally arrange for 2 hours during each afternoon to be time off for the personal assistant. If this is not convenient other arrangements can be made. It is important to note that should cover be required during this daily break then Bluebird Care will arrange for another carer to be available. Please note that there will be an additional charge for this time which will be agreed with you before the service begins. What happens if I need my Personal Assistant to attend to me during the night? Everyone understands that this may occasionally happen. Obviously if your personal assistant is awake with you at night, he/she will need to catch up on some sleep the next day, but that is to everyone’s benefit. If your needs include regular assistance at night we will re-arrange the schedule for the rest of the working week accordingly. Please note this may require the services of a second carer the charges for which will be agreed prior to the service beginning. How long will my Personal Assistant stay with me? In general our Personal Assistants work on a two week-on two week-off rota. We will, of course, talk to you about your preferences and your options before we make any definite plans. What support will I receive from Verrolyne Services? Your Personal Assistant will have the support of a manager or supervisor every day including weekends and Bank Holidays. This means that there is someone on the end of the phone at all times to give advice in the case of an emergency or where guidance is needed. In this way we make sure that we offer as full a support as we can. We are registered with the Care Quality Commission which sets the minimum standards by which we operate. 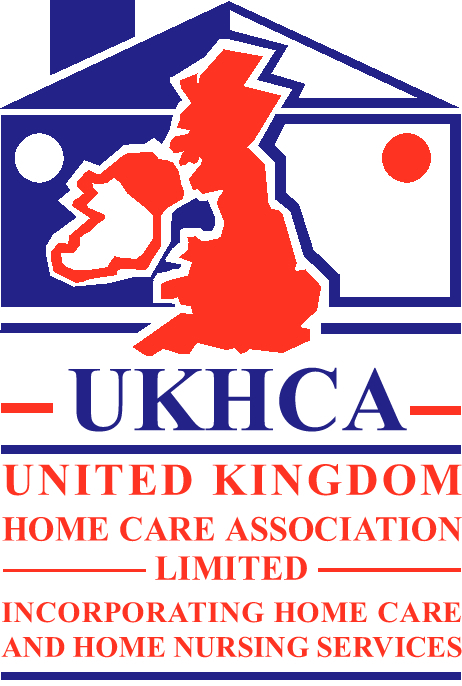 We are also full members of the United Kingdom Home Care Association (UKHCA). Both of these bodies have standards which set out how we should operate. We also carry Public Liability insurance (£10million) with Aviva. We are contracted to our local social services department. 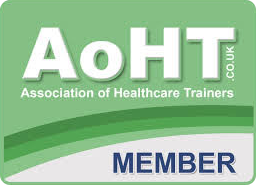 All our carers are trained to skills for care standards. What if I don’t like it or want to make changes? Live-in care doesn’t work for everyone, but the only way to find out is to try it! If it doesn’t work for you we will terminate at the end of the first personal assistant’s assignment (subject to the necessary notice period of four weeks). Similarly if any personal assistant is unacceptable to you they will not be returned to you for a second assignment. However we should take the time to talk through the implications with everyone involved to try to make sure that we make the right decision in the first place.